Sea World is any aqua freak's dream. This was Day 2 of my honeymoon and after having lived the child in us, it was time to bring water babies in us to life. After the crazy first day at WB Movie World, we were getting into the groove of hectic days having fun. 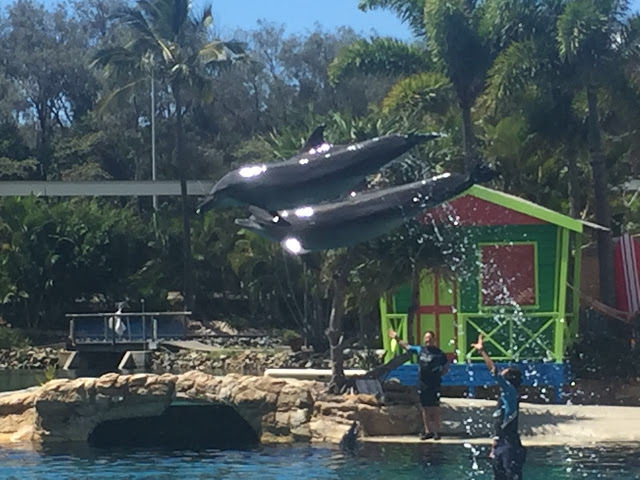 On the second day as well, we woke up early and filled ourselves till then brim with breakfast and rushed to catch the shuttle to the Sea World Park.To see sea lions and dolphins put up a show like trained actors is definitely worth an experience. Queensland has to be complimented for operating such top notch amusement parks that draw tourists from all over the globe. Initially we were skeptical about traveling that far just to watch sea creatures in action. But a visit here is among the fondest memories of our vacation. age groups from 2 to 80. 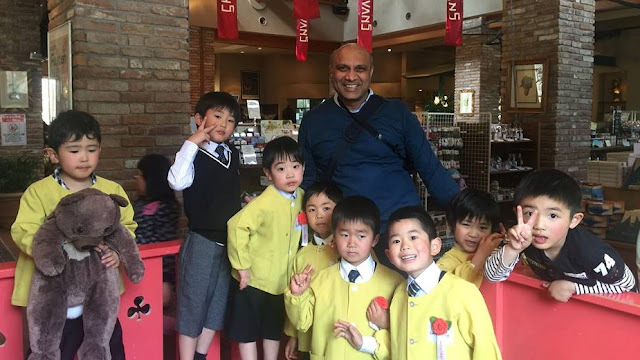 It is the perfect educational trip for your kids or just a fun place to indulge the kid hidden inside you. To enjoy the Sea World it is important to grab a map of the park at the entrance and keep the show timings in mind. 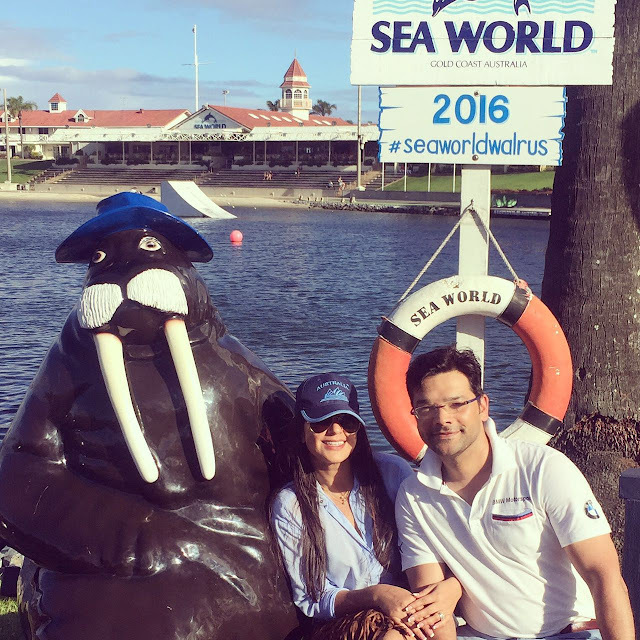 The shows are a major draw and attending them is an integral part of Sea World experience. 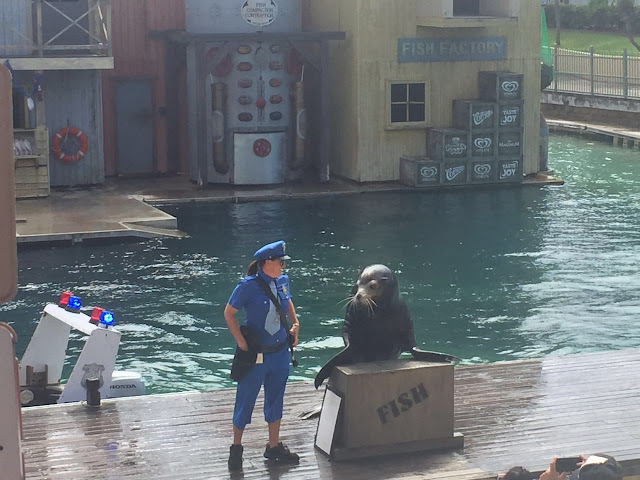 The sea lions play trained detectives who help the local police nab fish smugglers! 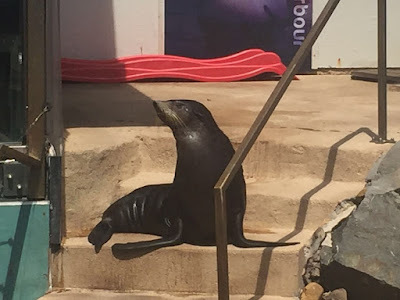 Reach here before time, grab the front row seats and watch Buddy, Clawde and Big Al Baloney (Three sea lions playing detectives) work in tandem with local authorities to solve this 'fishy tale'. 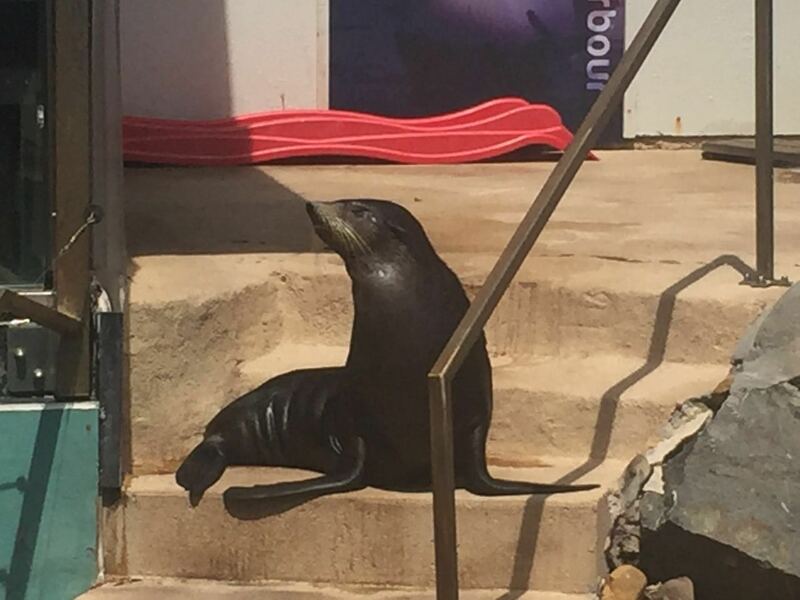 While the setting and props are enticing enough, it is the trained sea lions that are the real stars. Their antics are what visitors to the park throng to see and enjoy to the fullest. Dolphins in their 'Thank You' pose! Dolphins that follow hand signs and leap in and out of water are the tales we've heard and seen on TV. You see that happening here in front of you. The entire action is narrated as a sequence to be enjoyed by everyone. Grab pop corns and ice cream and brace yourself for one of the best dolphin shows on planet. There is also a private dolphin feeding session that you can enjoy on prior booking. You get to feed the dolphins, learn a few hand gestures to control them and can also swim with them! Dolphins dancing to their instructors' hand gestures is a sight to behold. 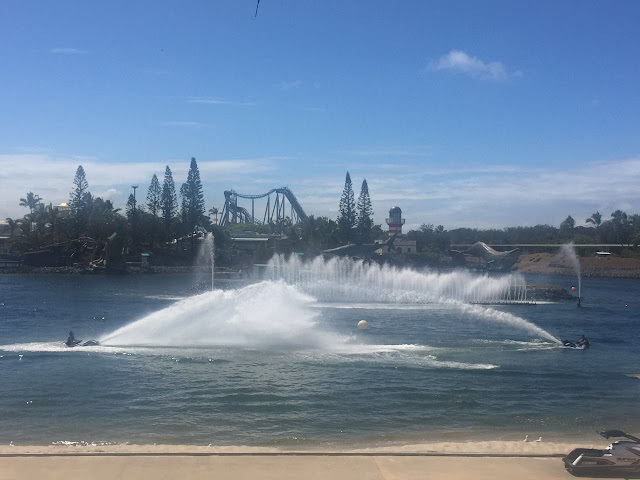 Two teams of jet ski riders perform stunts. The spectators pick their favourite teams and root for their stunts. The section of the crowd that is loudest, their team usually are the winner! 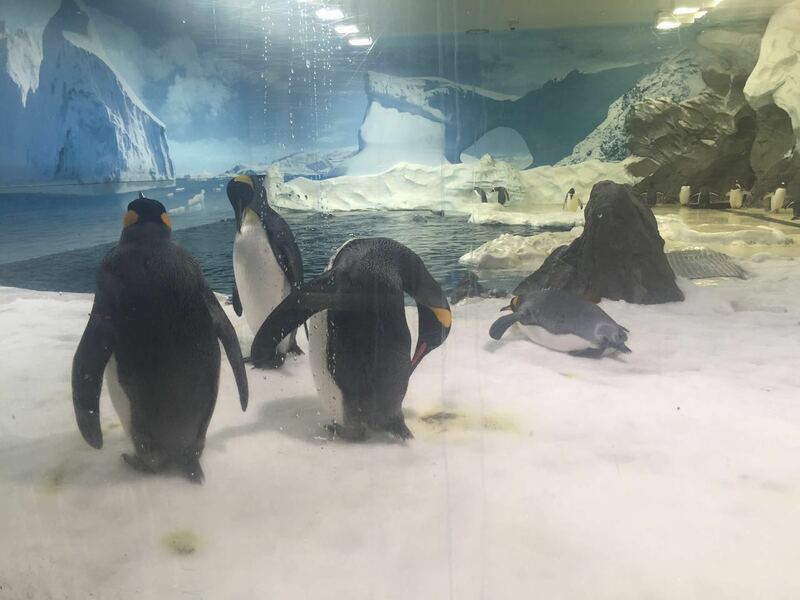 There are many experience zones as well such as Shark Bay and Penguin Feeding Areas where you get too admire these sea wonders from close. A map as we mentioned comes in really handy while navigating the park. It ensures that you don't miss out on seeing sting rays, polar bears or sea birds. The rides are another attraction that are a must visit. Storm Coaster and Jet Rescue were the ones we tried and we loved every bit of the thrill we experienced. There are rides for kids as well at Nickelodeon zone. 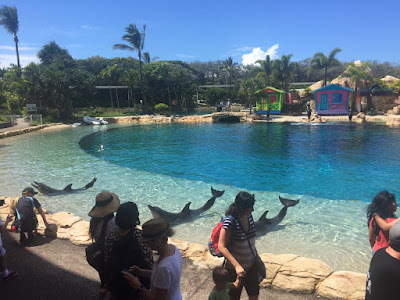 All in all Sea World is a day long fun trip that you must undertake when in Gold Coast.